The introduction of the Hyundai Xcent has heated up the already fiercely competitive sub-4metre sedan segment. 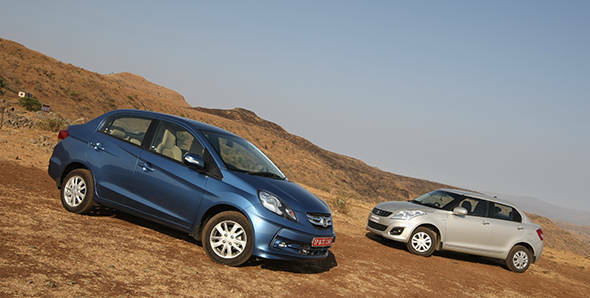 The Xcent now goes head to head against the established players of this segment like the Maruti and Honda. We compare all the three players in their diesel guise in the table given below. On the power front only the latest entrant has a three cylinder setup while the others get a four cylinder configuration. The Amaze generates the most power and torque at 100PS/200Nm, while the Indian and Korean manufacturer offerings are close at 75PS/190Nm and 72PS/180Nm. 5-speed manual gearbox is the transmission of choice throughout the competitors. The brakes are discs at the front and drums at the rear with only the Dzire opting for ventilated discs. The Xcent is on par with the Dzire in terms of body length and has the most compact design of all with short dimensions. The wheelbase is more than that of the Amaze and just 5mm shy of the Dzire's dimension. It remains to be seen how comfortable the seating is for the rear occupants in Hyundai's latest sedan. 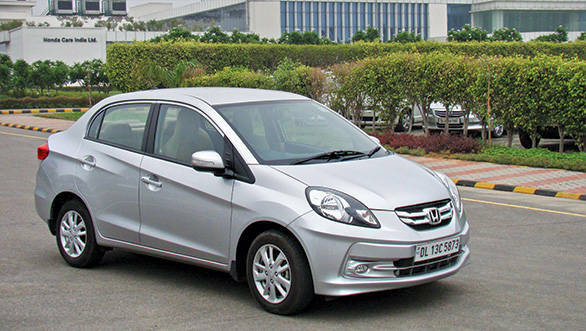 The most important thing for the Indian customer after the pricing is the fuel efficiency. The Amaze has the best claimed figure of 25.8kmpl due to its brilliant i-DTEC engine with the Xcent coming in second at 24.4kmpl and the Dzire being the least fuel efficient of the lot at 23.4kmpl. 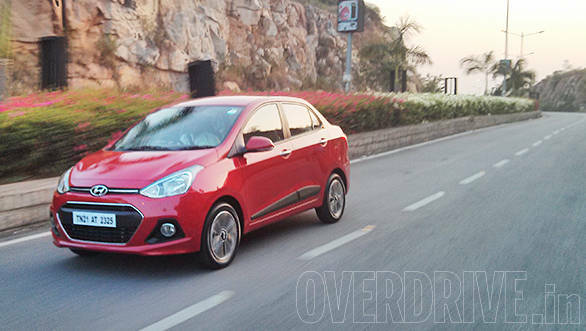 Hyundai has launched the Xcent at a killer price which undercuts the base variants of the Amaze by a massive Rs 40,000 and the Dzire by Rs 21,000. The Korean manufacturer's offering has impressive figures to its credit whether this transforms in to sales or not is yet to be seen. We will give our impressions after getting our hands behind the wheel, till then take a look at the spec comparison table below.